Apply to become a Commissioning Chorus. "A year ago six women (an historian of American Women’s History, a musicologist, activists, and several women conductors) gathered to discuss the GALA Roma Commission in light of the upcoming 100th anniversary of the 19th Amendment giving women the right to vote. 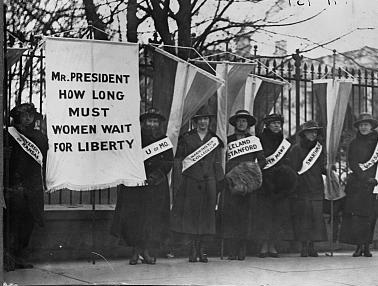 Whereas we recognize the passage of the 19th as a major event, countless women remained, and remain, disenfranchised. How might we capture the complexity of this issue in a commission? Lots of conference call meetings! Collaborate with at least one local school for performance and curriculum exploration. Perform the commission as part of a mass chorus at GALA Festival 2020, as space allows. Consortium choruses will arrive a day early to work with composer, rehearse and have time to network and connect with other SSAA choruses. Pay a sliding fee of $300-750 to support the commission process. Includes score and school curriculum. Joan Syzmko's composition, Lifting As We Climb, honors the 100th anniversary of women’s right to vote which occurred in the US in 1920 and close to this time in Canada and England. Length 15-20 minutes. Three movements including spoken narrative woven through the movements. An accompanying school curriculum exploring the 100th anniversary of women’s right to vote will be provided. Performing choirs are encouraged to partner with local schools for collaboration and performances utilizing the curriculum as a teaching tool. Oct 2018 Commission Consortium Applications open. Apply here. Mar 2019 Commission text draft distributed to commission choirs. July 4-8, 2020 Performed at GALA Festival 2020. All commissioning choirs arrive in Minneapolis a day early to rehearse with Joan Szymko and Cathy Roma. The commission will be performed individually by SSAA GALA choruses in their hometowns across North America between September 2019 and June 2020 and then performed as a mass chorus at the GALA Choruses Festival in Minneapolis July 4-8, 2020 and conducted by Dr. Catherine Roma. Any SSAA chorus that is a member GALA Choruses is eligible to apply to participate as part of this commissioning consortium. Because stage space is limited at the GALA Festival we may need to limit the number of singers for that performance but we’re working creatively to solve that issue. For over 40 years, Dr. Catherine Roma has created vibrant choral communities that reach across barriers of race, religion, class, sexual orientation and age. She works to translate the values of social justice and inclusion into fundamental experiences of community for both audience and singers. She does this through music that spans a wide variety of styles and cultures and through strategic efforts to develop membership and audiences that reflect rich diversity. 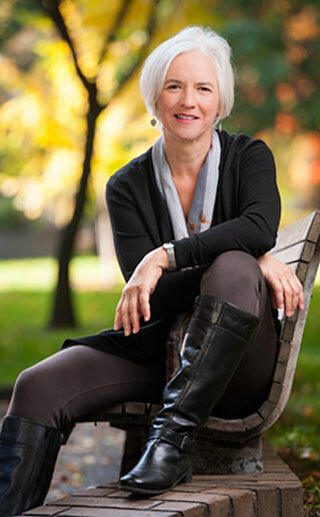 Cathy Roma became one of the founding mothers of the women's choral movement, an international network of over 70 women's choruses, when she started Anna Crusis Women's Choir in her native Philadelphia in 1975. She founded MUSE Cincinnati’s Women’s Choir in 1984 after coming to Ohio to do graduate work at the University of Cincinnati's College-Conservatory of Music where she completed her Doctor of Musical Arts Degree in 1989. 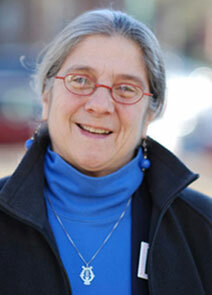 Catherine is currently Professor of Music at Wilmington College. Through her association at Wilmington, Catherine founded and directs UMOJA Men’s Chorus at Warren Correctional Institution, in Lebanon, Ohio. She is Minister of Music at St. John’s Unitarian Universalist Church in Cincinnati, and is co-founder and director of the Martin Luther King Coalition Chorale. Recent honors include the Governor’s Award for the Arts, in the category Community Development and Participation (2008); The GALA Choruses Lifetime Achievement Award (2012), The Martin Luther King Legacy Award (2013), and the Building Bridges Award given by Bridges for a Just Community (2013). Giving all GALA chorus members the opportunity to participate in commissioning a work of music by a woman composer. Helping to nurture, support and cultivate women composers by valuing their talent, giving them exposure, performing their music, and giving them a platform to compose music that explores topics that make a difference in the lives of women. Build community by connecting choirs across the nation as they co-commission a work to be performed in their home towns and on the GALA stage – a shared experience that guarantees multiple performances of a new work. Joan Szymko is widely regarded as an outstanding composer of choral music in America today. Abundant lyricism, rhythmic integrity and exquisite attention to text are hallmarks of Szymko's diverse and distinctive choral writing. With a catalog of over 100 published choral works, her music is frequently heard at regional, national and international choral festivals and competitions. The American Choral Director's Association recognized Szymko's lasting impact on the choral arts in America by awarding her the prestigious Raymond W. Brock Memorial Commission in 2010. In addition to the works published on this site, Joan Szymko's choral works are found in the catalogs of Santa Barbara Music Publishing, Roger Dean Publishing, Walton Music earthsongs, Treble Clef Press and Yelton Rhodes Music. She is a founding member of the Independent Music Publishers Cooperative. More at www.joanszymko.com/about. Make a donation to support future commissioning projects or submit payment for the Roma Commissioning Consortium.